Do you enjoy being miniaturized? If you like being really tiny—atom tiny—visit Adventure Thru Inner Space. If that’s too tiny, visit Honey, I Shrunk the Audience, where you’ll be almost an inch tall. Want something in-between? Then Body Wars offers the perfect amount of miniaturization for you. 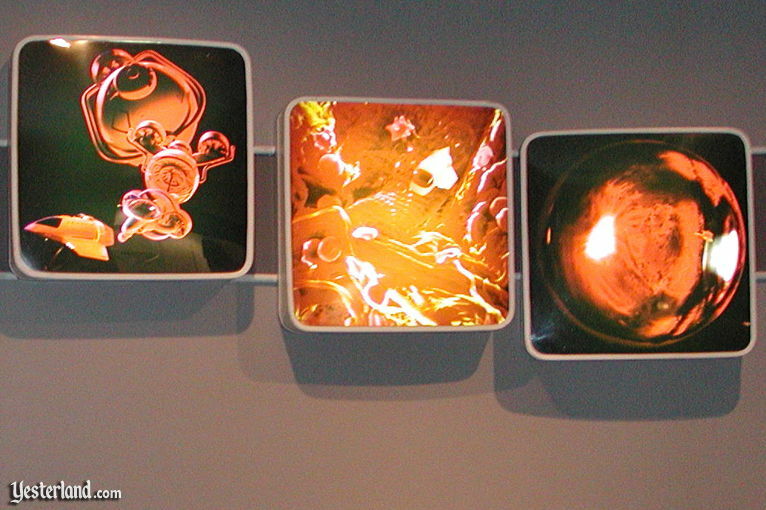 As you enter the portal to Body Wars from the Wonders of Life pavilion, your surroundings change. 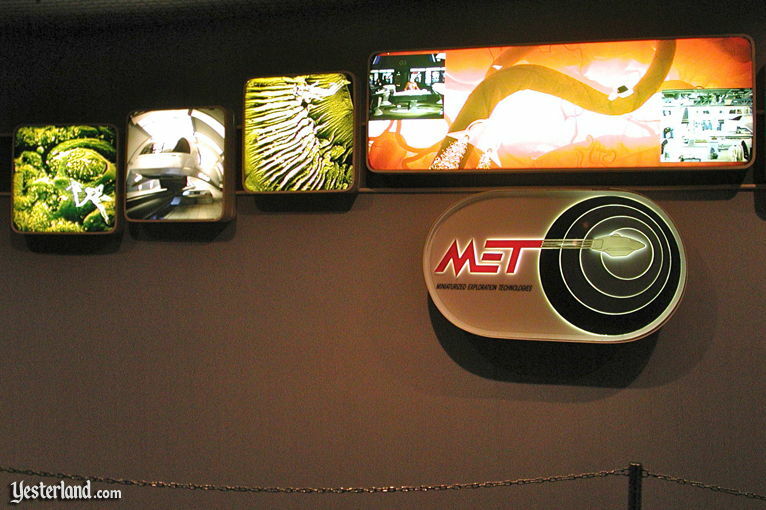 In place of the colorful and playful world under the dome, you’ve now entered the serious, high-tech laboratory of MET, which is short for Miniaturized Exploration Technologies. The scientists here at MET have an amazing technology that allows a miniaturized crew to travel inside the human body in Body Probe vehicles. Now, you might think that such a conveyance would be just big enough for a captain and one or two medical specialists. But here at MET, they like visitors. So each Body Probe has 40 seats. Look for the Body Probe vehicles in the back-lit images. 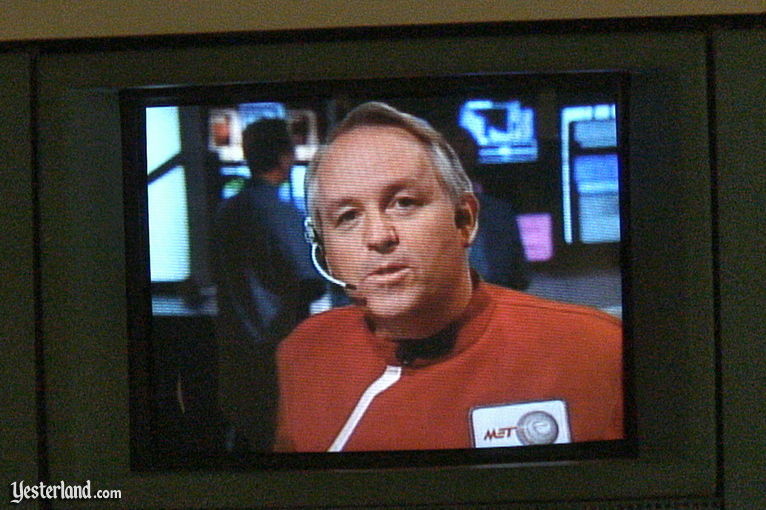 As you stand in the queue, watch the monitors overhead. On second thought, there’s no reason to stand because nobody is waiting in front of you. Just zip through to the loading area. Do you really think they would allow 40 visitors to participate in such a mission with no training? It would be better if you knew what’s going on here, so please pay attention to the monitors. Apparently, the scientists at MET were able to beam Dr. Lair to her destination, but now it takes a captain and 40 visitors to get her out. Your captain is Captain Braddock, who looks like Tim Matheson. The good news is that Dr. Lair is reporting that her mission was a complete success. The volunteer might not consider it such a “complete success.” After all, nobody removed the splinter. You also learn how to stow your carry-on items and that you must refrain from flash photography. And if you were planning to smoke, forget about it. Oh, and you’re not a mere visitor. You’re a team member. Your mission is ready to begin. Captain Braddock guides the Body Probe into the miniaturization room. In no time, you’re under the skin of the volunteer. White blood cells are on their way to the splinter—and so are you and the rest of the team of 40. You experience a little turbulence on the way. Well, actually, you experience a lot of turbulence. It could be worse. You could be Dr. Lair. 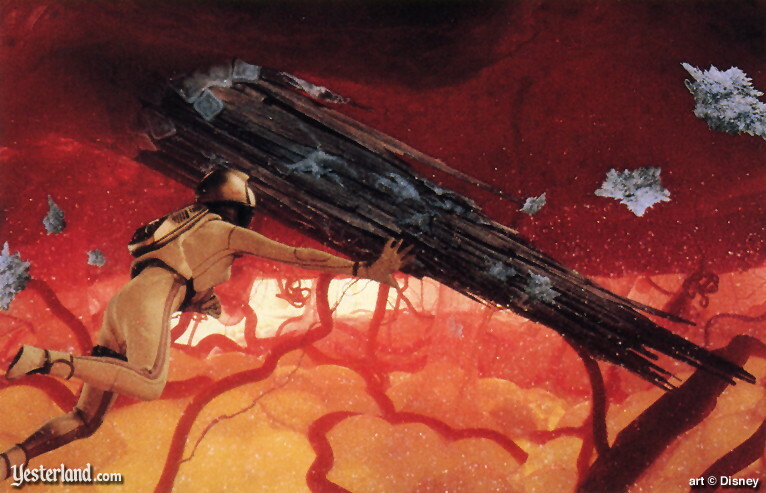 She just reported that she’s being pulled into a capillary. It gets worse for you too. Captain Braddock has to chase after Dr. Lair, who finds herself pulled down a vein to the heart and lungs before being attacked by a white blood cell. Captain Braddock tries to stun the white blood cell with a laser. Uh-oh! The Body Probe is running out of electric energy. There will be no way to beam out. (The most obvious other way to exit from a human body would not be good for a family theme park.) Dr. Lair points out that the brain works on electrical impulse, so guess where you’re headed now? Your routine mission to bring back Dr. Lair has turned into a thrill ride through the human body. The mission is a success. You capture enough energy to beam out. “Control, we were the first to go through the heart, lungs, and brain,” boasts Dr. Lair. The Mission Control crew applauds. The ride is over. How do you feel? If you’re queasy, you may want to spend a little time on one of the benches in the exit hallway. 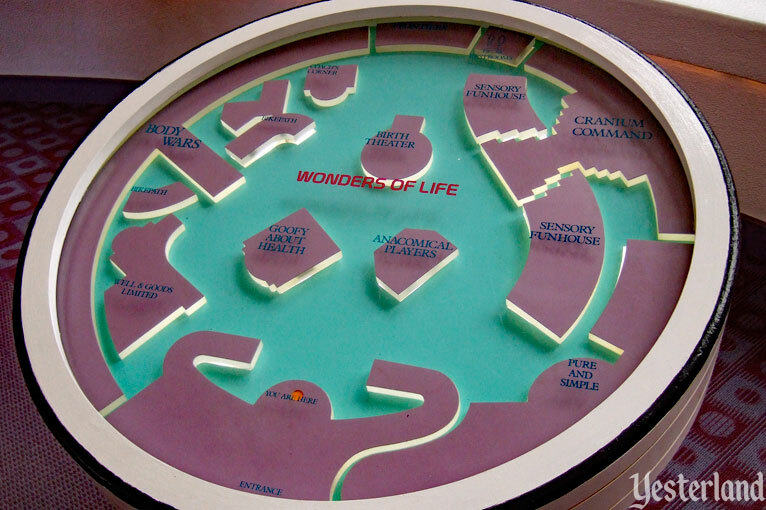 Don’t miss the other attractions, shows, games, refreshments, and shopping here at Wonders of Life, including Cranium Command and Goofy about Health. Wonders of Life is like its own little indoor theme park. 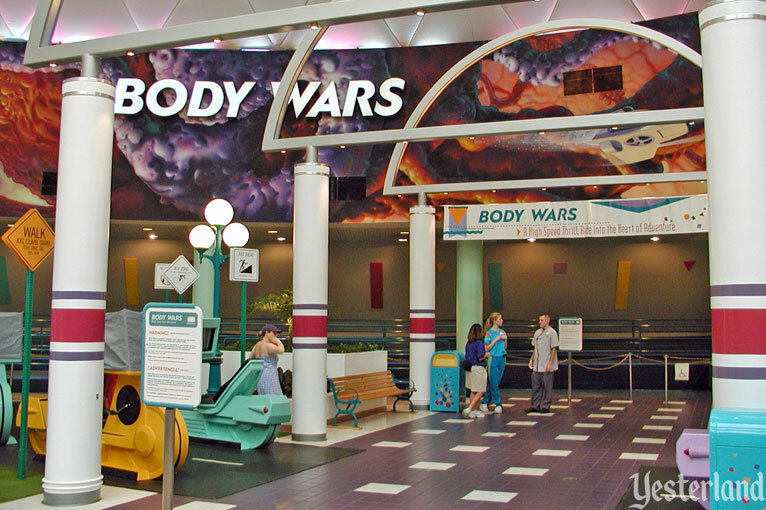 Body Wars opened at EPCOT Center (now Epcot) on October 19, 1989 as part of the new Wonders of Life pavilion, presented by the Metropolitan Life Insurance Co. (MetLife). 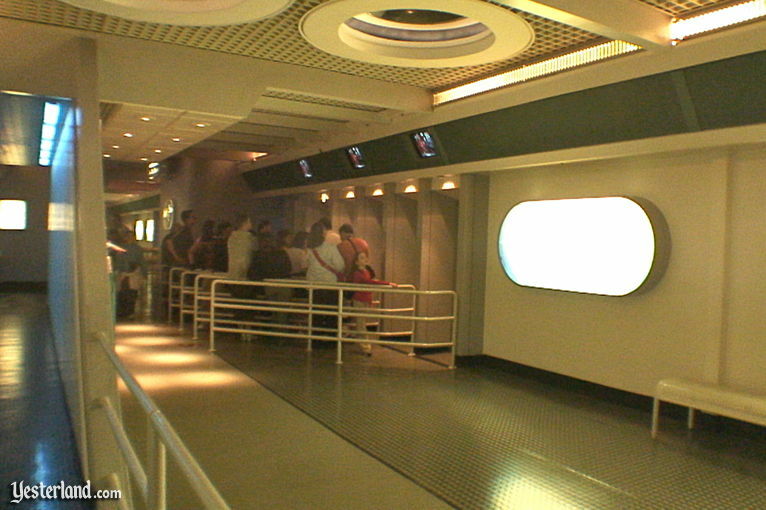 The attraction used four 40-passenger, 26-ton simulators. 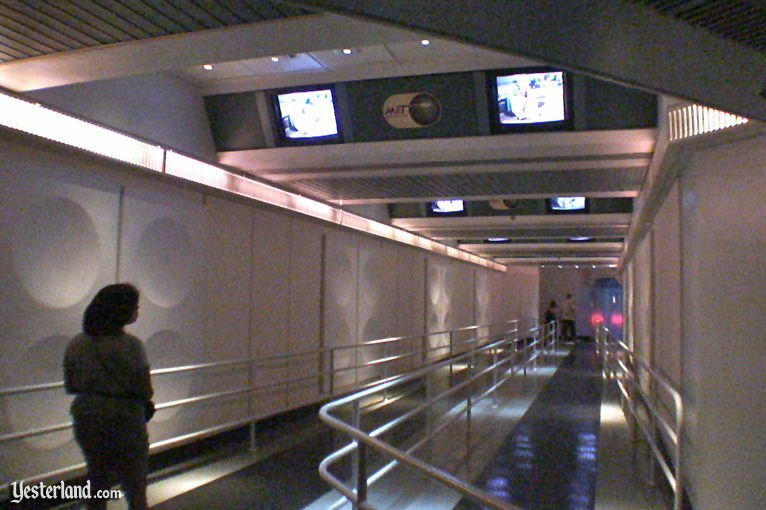 Body Wars debuted approximately 22 months after the well-received premier of Disneyland’s original Star Tours attraction, which was The Walt Disney Company’s first attraction using such simulators. 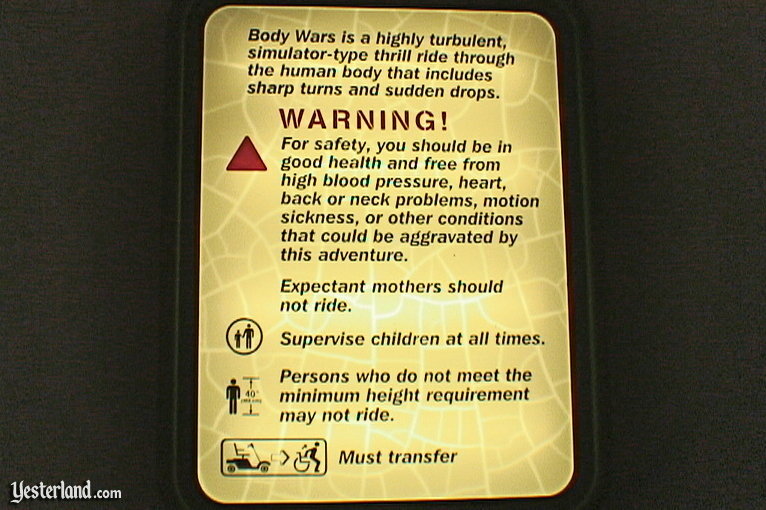 However, at Walt Disney World, Body Wars was the first such simulator. Star Tours at Disney-MGM Studios (now Disney’s Hollywood Studios) would not open until December 15, 1989. Body Wars was directed by Leonard Nimoy. The cast was Tim Matheson as Captain Braddock, Dakin Matthews as the Mission Commander, and Elisabeth Shue as Dr. Cynthia Lair. The Imagineering Show Producer was Scott Hennesy, who is also credited as the writer by IMDB. 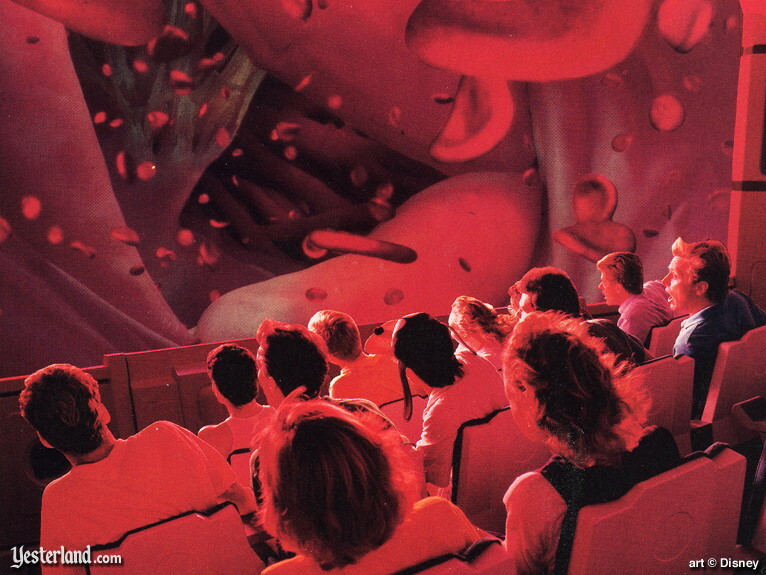 As the first real thrill ride at EPCOT Center—unless you considered Maelstrom to be a thrill ride—Body Wars initially drew big crowds. Wait times of more than an hour were common. 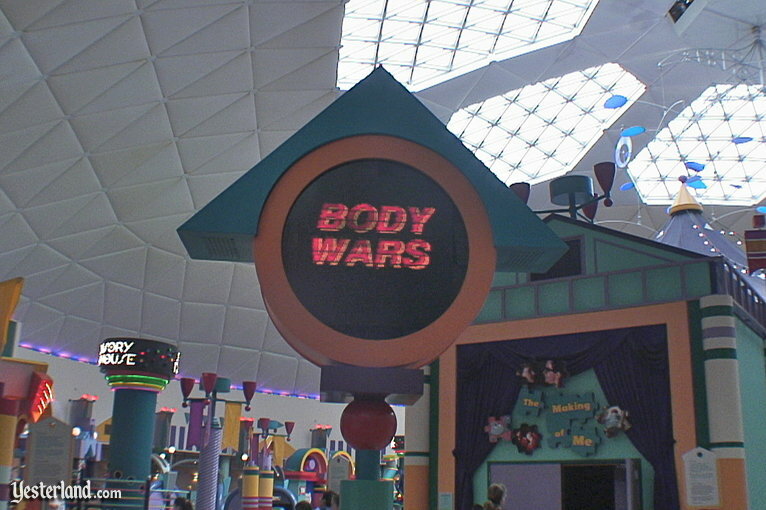 It was hard for guests not to compare Body Wars to Star Tours. Although the Body Probes of the former and the StarSpeeders of the latter were the same ride system, Star Tours came across as a better show with a better subject and better story, as well as benefiting from its connection to George Lucas’s popular Star Wars movies. 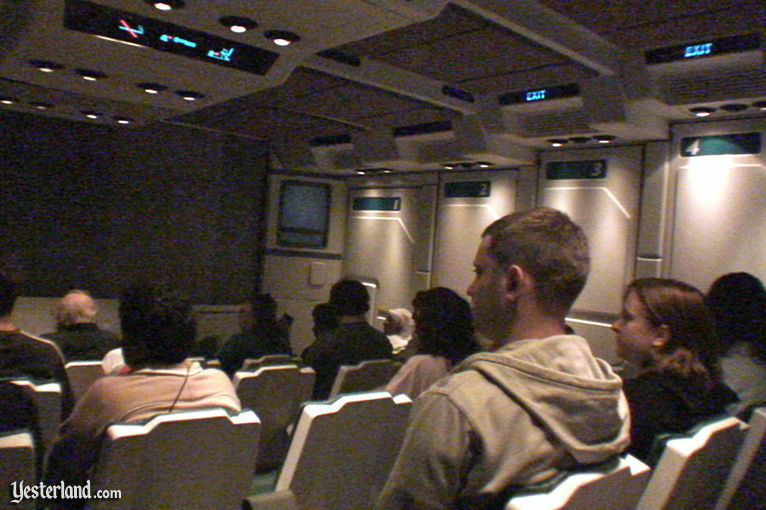 The ride technology worked well to simulate the rapid (but smooth) space maneuvers that Star Tours called for. Guests on Body Wars experienced the pulsing, sometimes unpleasant movements of the circulatory and respiratory systems. 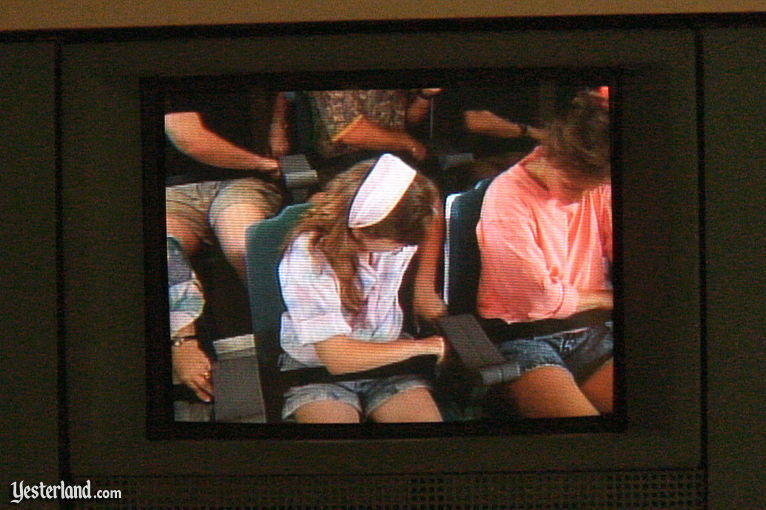 Queasiness and motion sickness seemed to affect far more guests on Body Wars than Star Tours, probably due to a combination of the movements and the “ick factor” of the visuals. 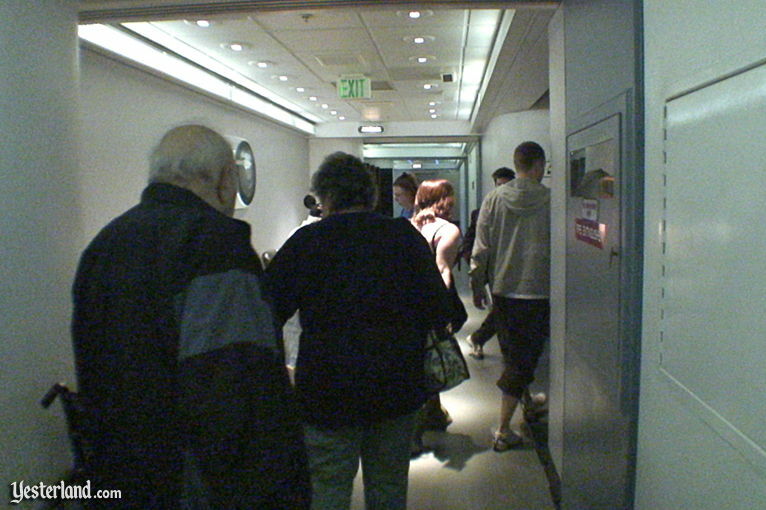 As the years passed, Star Tours continued to have lines most of the time, while Body Wars became a walk-on attraction operating below capacity. 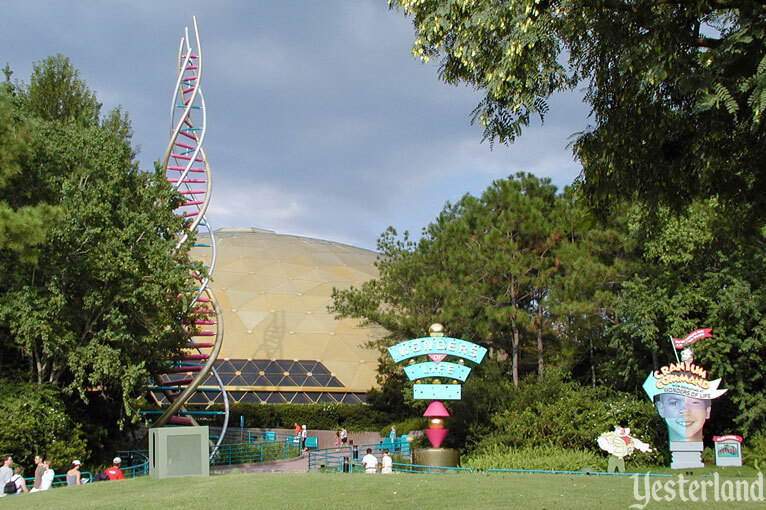 Being hidden inside an easy-to-miss pavilion wedged between Horizons and Universe of Energy did not help. By June 2001, MetLife had ended its sponsorship of Wonders of Life, but the main attractions of the pavilion continued to operate. In 2004, Wonders of Life became seasonal. After closing on January 1, 2007 after the holiday season, Wonders of Life never reopened. Still, a run of more than 16 years (not counting the seasonal closings during the pavilion’s final years) is a long time. 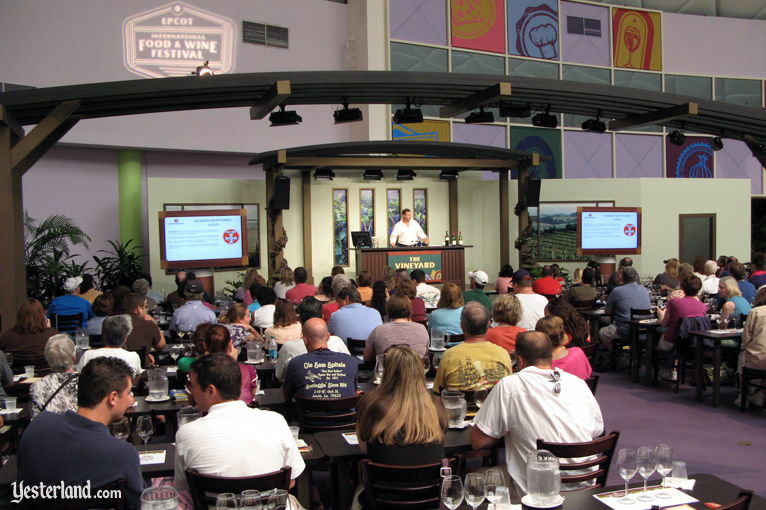 The golden-domed pavilion that housed Wonders of Life began a new role as an event facility with the 2007 Epcot International Food & Wine Festival. At first, it seemed that Wonders of Life and its attractions might return, especially if a new sponsor emerged—but that never happened. 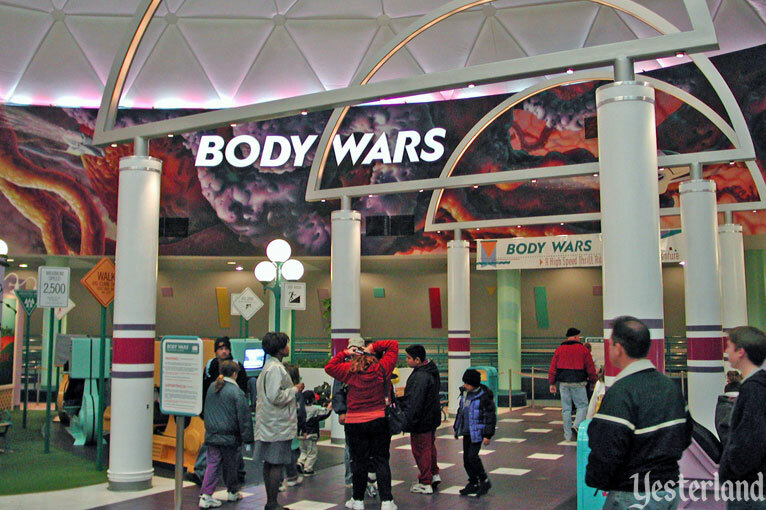 Which raises the question… whatever happened to Body Wars? The large building that housed the four simulators is still there, attached to the back of the dome, away from public view. A plausible explanation is that the simulators have been stripped for parts to maintain the Star Tours simulators, but that much of the infrastructure is still there.